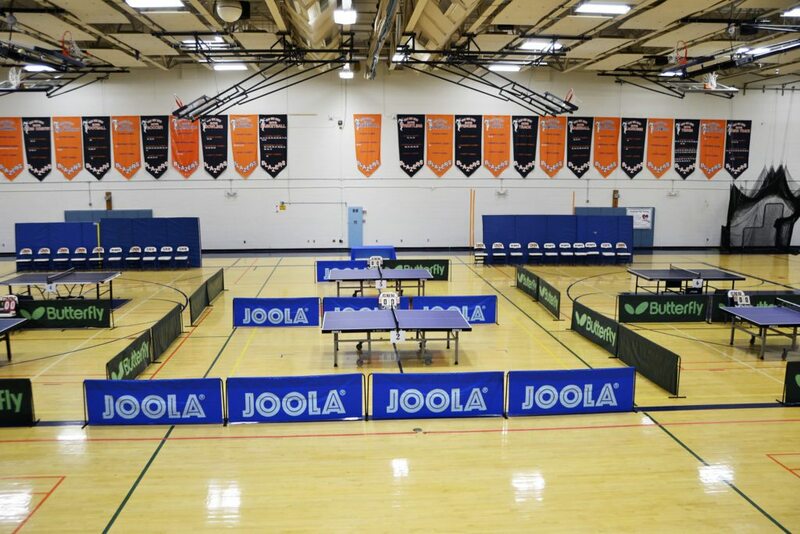 Great Neck North HS transformed into a professional table tennis arena. 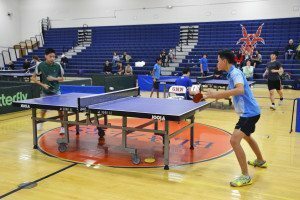 Great Neck North High School (GNNHS) held its First Table Tennis Invitational on Saturday, April 2. 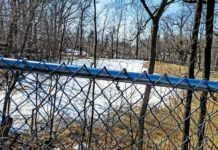 The event was open to all seventh- to twelfth-grade students residing in Nassau County. 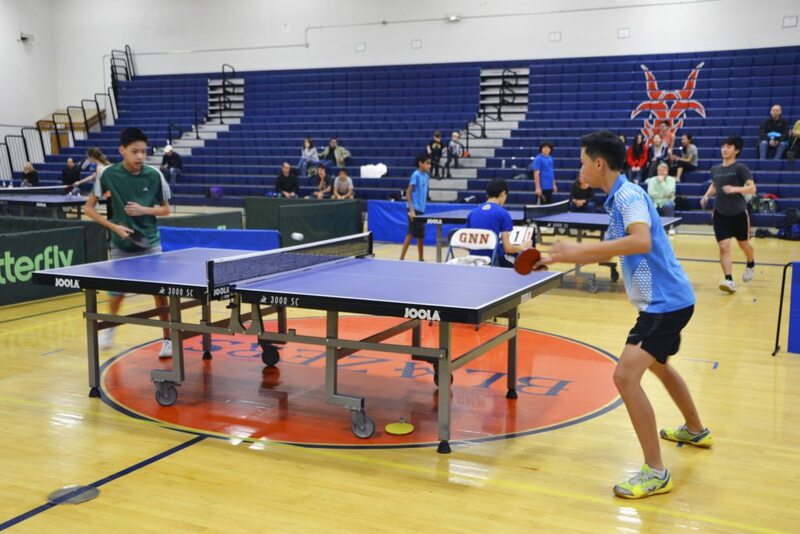 Table tennis, aka ping-pong, which was once a basement recreational sport, has gained in popularity after becoming an Olympic sport in 1988, a collegiate sport in 1993 and an official New York City winter varsity sport in 2014. Brothers Kevin and Kenny Li compete. 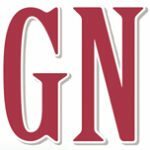 The GNNHS event drew nearly 50 students. 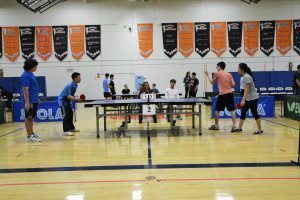 The North High gymnasium was transformed into a professional table tennis arena with seven ping-pong tables, concession stands and an artifact display, which was set up by Sammy Feinstein in memory of his great-great-uncle, the late Sol Schiff. 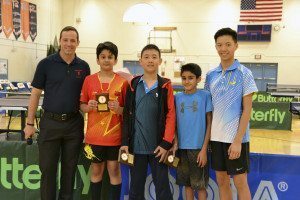 Schiff was nicknamed Mr. Table Tennis and is a member of the U.S. Table Tennis Hall of Fame. The display included artifacts from the very first types of table tennis paddles to trophies and photos of Schiff. 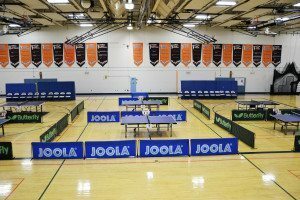 Joola also sponsored the event by supplying official tournament balls. 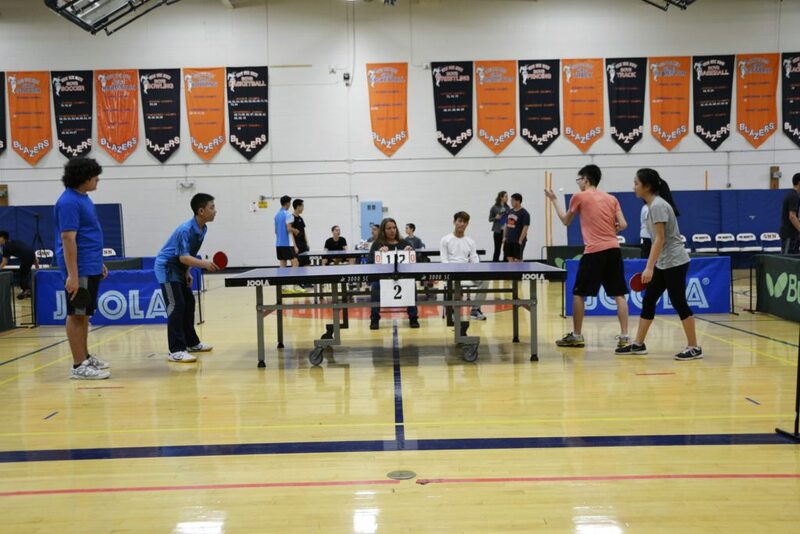 The novelty of the event to Great Neck, the excitement of the students engaging in friendly competition, the cheers from spectators for their classmates and the pop music playing in the background all created a fun and energized five hours. 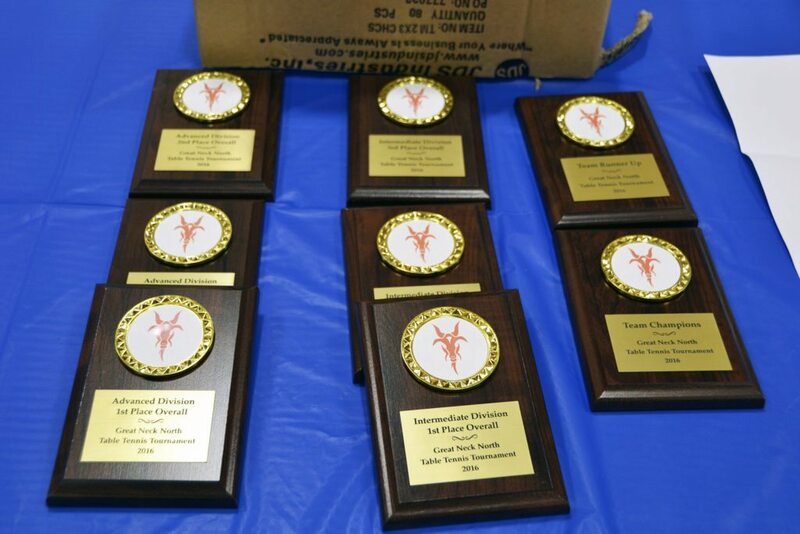 The round robin–style competition categories included novice/intermediate singles, advanced players and school teams. 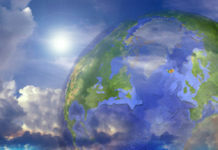 Participants came from Great Neck North High, Great Neck North Middle, Great Neck South High, Great Neck South Middle, Schreiber High (Port Washington), Mineola High, Manhasset High, Roslyn Middle and Herricks Middle schools. 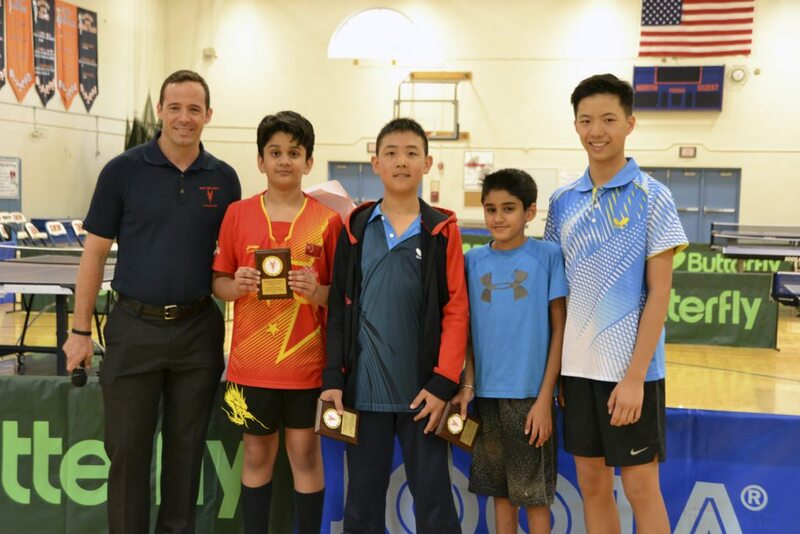 First place in the novice/intermediate category went to Aadithyaa Balasubramanian of Herricks Middle School, second place was awarded to Alex Meng of Roslyn Middle School and third place went to Jaideep Grewal of Roslyn Middle. 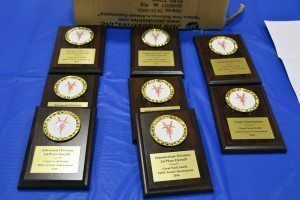 In the advanced category, first place was awarded to Justin Liu of Great Neck South High, second place went to Ben Liu of Great Neck South Middle and third place was awarded to Timothy Lee of Great Neck North High. Awards were presented at the First Great Neck Table Tennis Invitational. 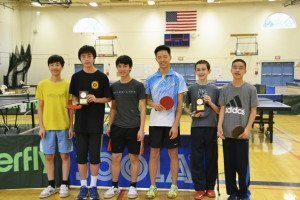 With six school teams competing, it came down to a close duel between North High with players Kevin Li, Timothy Lee, Daniel Elion and Christopher Wang, and South High with teammates Justin Liu, Ben Liu and Brian Cho. South High was triumphant, winning the title at the first GNNHS Table Tennis Invitational. 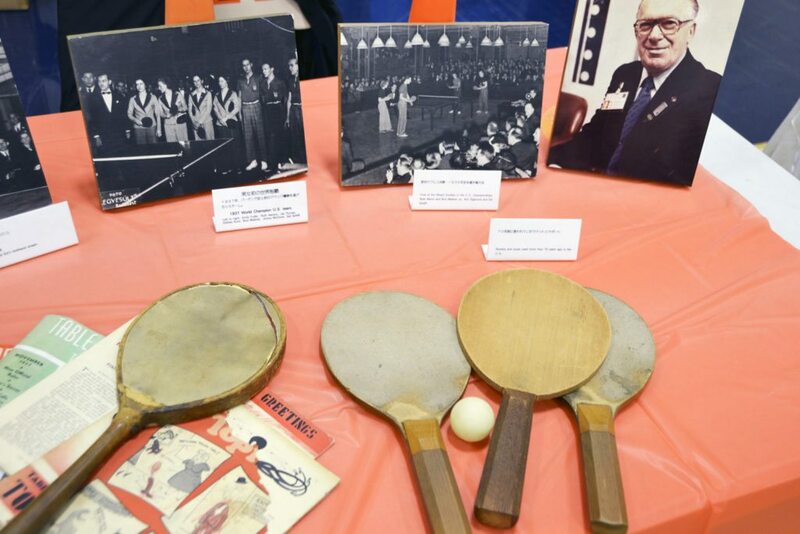 Table Tennis artifacts were displayed in memory of Table Tennis Hall of Famer Sol Schiff. 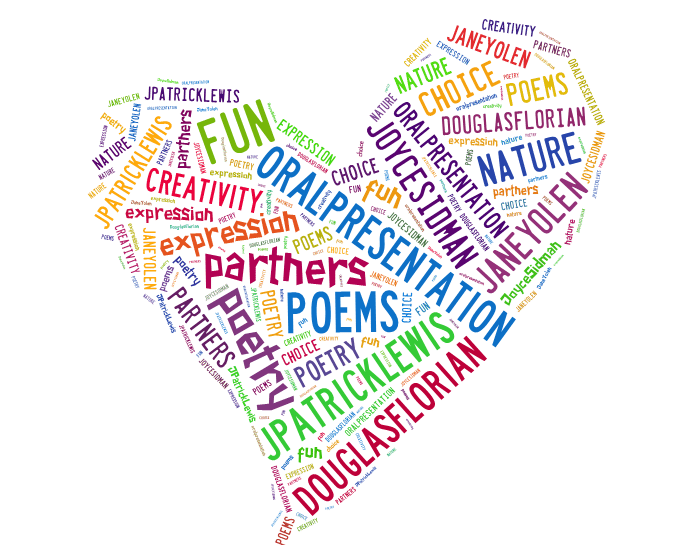 Principal Bernard Kaplan and Assistant Principal Ron Levine were present at the event, cheering on the students. 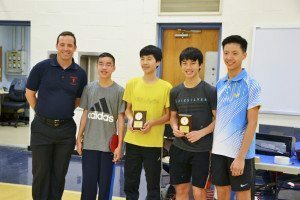 The event was coordinated by Athletic Director Eamonn Flood, Table Tennis Club Adviser Amy Ford and Parent Coordinator Joyce Cheung-Li. Dr. Teresa Prendergast, superintendent of Great Neck Public Schools, was excited about the large turnout and the participation of schools from other districts. She supports the sport and hopes that GNNHS will continue to host this event for the growing sport of table tennis. Next articleHungry For A Dining Deal?